Reality court TV star Judge Joseph Wapner recently died of natural causes at the age of 97 in his Los Angeles home. 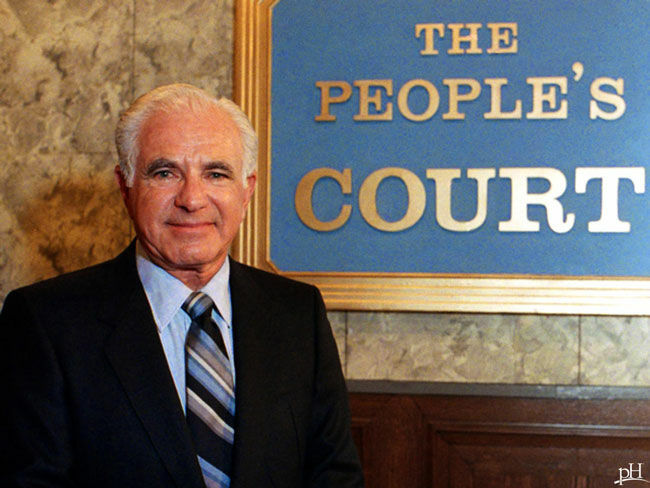 He was known for being tough but fair on one of my favorite shows while I attended law school - “The People’s Court.” Judge Wapner was a mainstay on the program for 12 years and more than 2,000 episodes. He has been credited with inspiring the likes of Judge Judy and Judge Joe Brown as well as Hot Bench. He left behind quite a legacy, but there is one accomplishment I cannot overlook -- his longevity. Ninety-seven years is quite a long life! And not only that, he died of “natural causes.” Isn’t that what we all want? Good health and longevity? Healthy aging? His death left me pondering how we can increase our chances of living a long and healthy life. One way to live a long, healthy life includes knowing your family history and genetic predispositions. To start, click here to read about how I used whole genome sequencing to find out which type of exercise would be effective for me and how my body would respond to certain medications. And click here to read about my surprising revelation that lead me to disregard the RDA for vitamin C and tailor my intake based on my genetic predisposition. While genetic predispositions can certainly play a part in your health, overall risk for various diseases and whether you will have longevity are not necessarily and completely dependent on genetic predispositions. Think of your genes as a song playing in the background, and your lifestyle habits are the volume knob. Lifestyle matters and it is no secret lifestyle choices, such as tobacco, drug or alcohol abuse, poor sleep, poor diet, stress and low physical activity levels are responsible for a myriad of health problems and early death! Unfortunately, we spend the most on health care in the US, and yet we rank pretty low when it comes to healthy aging. Meditation and music may help with memory, sleep, mood, stress and overall well-being and quality of life. Know cancer risks and take steps to reduce them, including obesity, heavy alcohol consumption, eating a lot of red meat and processed meats and a diet low in fruits and vegetables. Reduce stress and be proactive about work-life balance. Long work hours may increase your risk of an early death by 20 percent. Prioritize sleep and good quality sleep, including talking to your doctor about sleep apnea. Eat blueberries and ensure you are getting enough vitamin B12 to protect your memory. Stay mobile and active as you age. Exercise can help older adults improve their lung, heart and brain health. Help prevent obesity and diabetes by avoiding sugary beverages like soda. Improve your life expectancy just by walking 20 minutes a day and decreasing your sugar intake. Reduce your risk of cardiac arrest and heart attack by following through with doctor’s visits; controlling diabetes, blood pressure and cholesterol; avoiding high stress; trying to be less sedentary and more active; maintaining a healthy weight; and surrounding yourself with good social or emotional support. Improve your glutathione levels. (Read how here!) This antioxidant fights toxins and carcinogens, protects brain cells and helps prevent DNA damage. Don’t forget: One of the cornerstones of a healthy life is, of course, nutrition! Read about how minerals may be your secret weapon for getting and staying healthy here! Judge Wapner was still active playing tennis in his late 80's.